This is a textbook for pre-service elementary school teachers and for current teachers who are taking professional development courses. By emphasizing the precision of mathematics, the exposition achieves a logical and coherent account of school mathematics at the appropriate level for the readership. 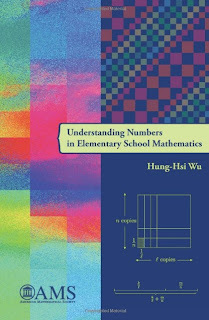 Wu provides a comprehensive treatment of all the standard topics about numbers in the school mathematics curriculum: whole numbers, fractions, and rational numbers. Assuming no previous knowledge of mathematics, the presentation develops the basic facts about numbers from the beginning and thoroughly covers the subject matter for grades K through 7. Every single assertion is established in the context of elementary school mathematics in a manner that is completely consistent with the basic requirements of mathematics. While it is a textbook for pre-service elementary teachers, it is also a reference book that school teachers can refer to for explanations of well-known but hitherto unexplained facts. 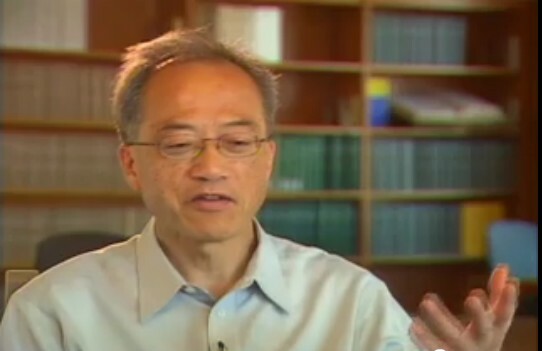 For example, the sometimes-puzzling concepts of percent, ratio, and rate are each given a treatment that is down to earth and devoid of mysticism. The fact that a negative times a negative is a positive is explained in a leisurely and comprehensible fashion. Pre-service elementary school teachers and current teachers interested in a logical and coherent account of school mathematics. The author has a published article related to this book entitled, "Phoenix Rising: Bringing the Common Core State Mathematics Standards to Life." To read the article, please go to the Fall 2011 issue of American Educator. "[This book] delivers the mathematical knowledge that elementary-grades teachers need." Chapter 9. What Is a Number? 19.2. Why Are Complex Fractions Important? These are papers about mathematics education. They are listed more or less in chronological order. The general heading before each title ("General", "Curriculum", "Professional Development") gives a rough classification of its content. General and Curriculum Bringing the Common Core State Mathematics Standards to Life. American Educator, Fall 2011, Vol. 35, No. 3, pp. 3-13.